One of the things I wanted to do with this segment is to create an open dialog with the readers of oprainfall. However, I’m more or less one of those that needs time to think before I can respond. I guess it’s a good thing I’m not into politics as my debate skills are rusty at best. So, this is where I respond to the agreement and disagreement (there was quite a bit of that) of my opinion. All comments from you will be in Italics while my response will follow. As per usual, anything I say is my opinion, does not reflect the opinions of the website as a whole, and is meant to be a part of an open dialog with you. I see your point and agree to a certain point, however I would prefer a game be pushed back and be customized for each system rather than get a super lazy port…or even so that it’s 100% finished so we don’t run into an issue like we got with the PS3 version of [Skyrim]. The industry is about to explode full of new tech so this is to be expected, all I can say is that in this case good things will come to those who wait. Much like a good craft beer, a video game is something you don’t want to rush production of =p -Mike M.
Well, I never did say that they should just push a hack-job port of the game to the PS3 and Xbox 360. Doing something like that would be mere folly (hint, hint, Bethesda). But I do agree that something good does take time to make. Thank you. And while I do think there is room for exclusives, I just want to see multiplatform games be on all platforms. The funny thing here is you mention THQ and why their going under might be reason to make things [multi-console], yet the opposite should be true. THQ’s biggest failure and largest money loser was uDraw, which was created for a single console (the Wii), did quite well, then was ported to the PS3 and XBox only to sell so poorly it set into action a chain of events that destroyed a company. The thing about the uDraw is that THQ didn’t understand the market. They saw people buying the tablet on the Wii but didn’t understand who was buying it on the Wii, nor did they understand the mentality of PS3 and Xbox 360 owners. Now, the reason for the multiplatform decision was because a potential install base of 130 million (give or take) could get the game rather than somewhere around 3-4 million (and that may be a bit generous). 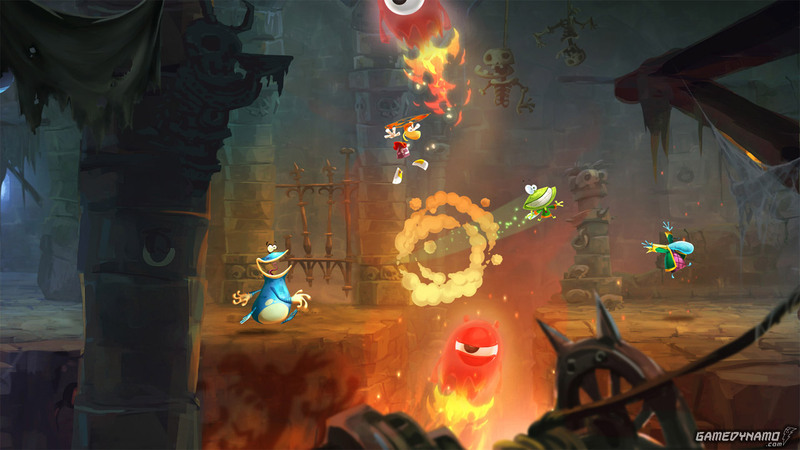 Ubisoft understands that a good chunk of Rayman Origins‘ sales numbers came from the Xbox 360 and PS3. For that, they’re well ahead of where THQ was with the uDraw. 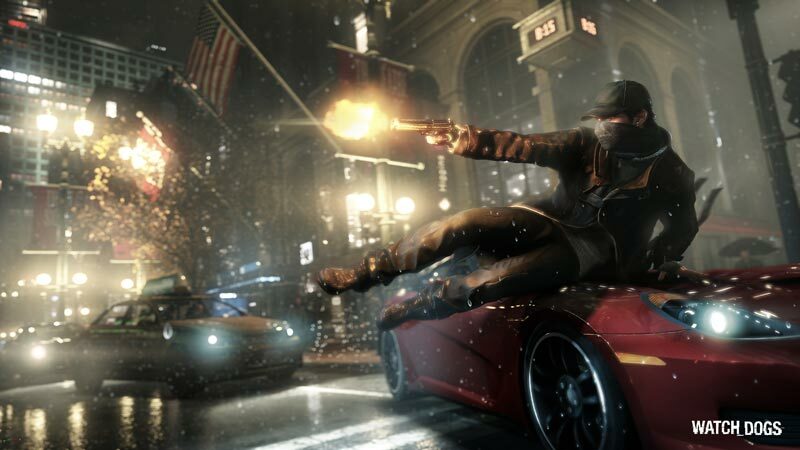 When Ubisoft announced that Watch Dogs was coming to Wii U, they redeemed themselves in my eyes. -James B. A simple one-for-one flip did cross my mind and is a good tact to take on this issue (if you can defend it, as with every other stance). However, there were questions that crossed my mind that I couldn’t quite find the answers for. 1. Was this game always going to be on the Wii U? 2. If they were doing it as an act of forgiveness, why would they bury it at the end of a press release? Wouldn’t that be part of the headline? Without solid answers to those questions, I couldn’t accept a one-for-one trade-off. And then we get this comment from user Xx_Kares_xX. Well, I did say that turn-about is fair play. If an already finished game gets delayed because they want to port it – and with the rumor that Microsoft policy is dictating this delay – then shouldn’t the other companies get similar treatment? To be fair – if we’re using the cookie analogy – I don’t even have the oven yet. …It’s not like he’s NEVER going to see the game released, it’s just a delay, like we’ve seen in the industry for YEARS. 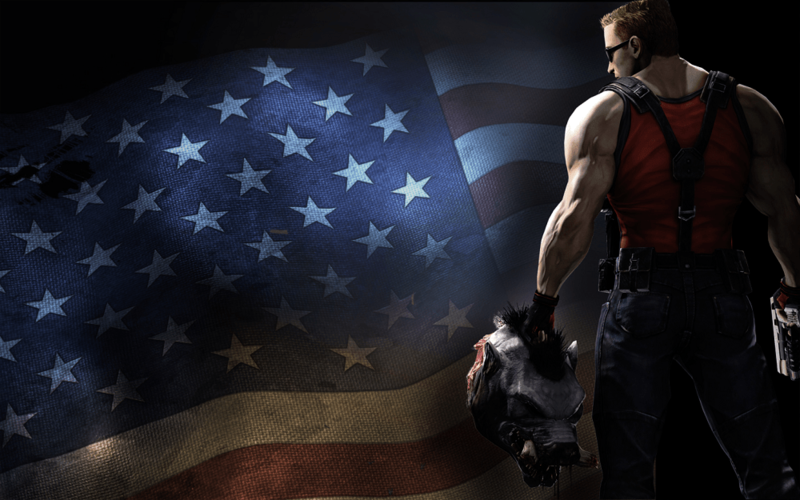 How long was Duke Nukem Forever Delayed? (Sorry bad example since the game was awful) But how about Half-Life 2 episode 2 (or god forbid Half- Life 3). Actually, DNF was a good example. Half-Life 3, on the other hand, has never been revealed in any sort by Valve, unlike older builds of DNF. If that’s what you got, then you didn’t really read the article. By the way, you may want to read this one as well. Well, as the Happy Video Game Nerd said, “Good games are great because they’re good.” And please read this article. Oh, come on. I don’t think I really need to make fun of people who put thousands of dollars on a computer that will be out of date as soon as they turn on the power the first time so that they can watch high-quality ragdoll physics while playing a game that they can never trade-in because of one-time use access keys. 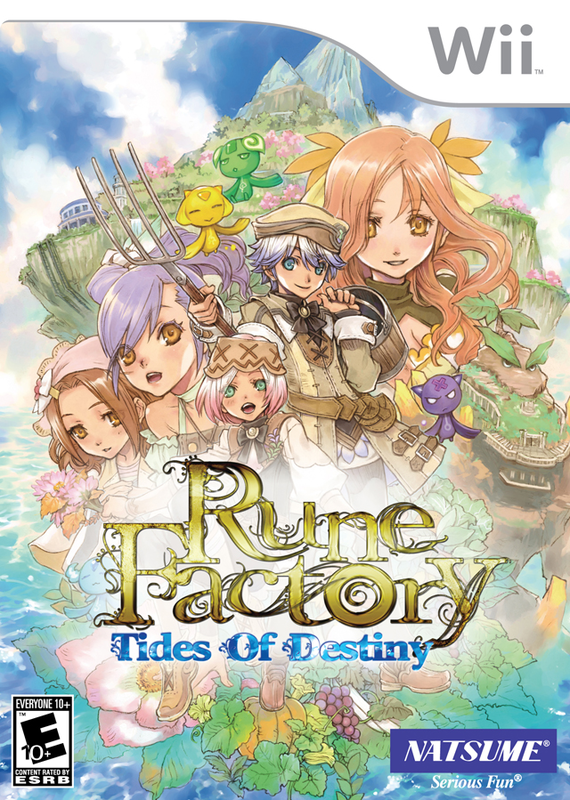 North American cover for the Wii version of Rune Factory: Tides of Destiny, known in other parts of the world as Rune Factory Oceans. First off, Rune Factory Oceans did get a localization on the Wii. It’s called Rune Factory: Tides of Destiny (at least in North America). Second, the Rune Factory games have had great localizations. Well, I think it’s better to “overuse” anime dub voice actors than, say, what Disney tries to do with bringing in celebrities who don’t know what they’re doing…or whatever Ignition Entertainment tried to “do” with Arc Rise Fantasia. You got it all wrong. Natsume still is 100% in control of both Harvest Moon and Rune Factory. XSEED is simply taking over localization. Natsume in America is basically just marketing and downloadable games. It means Natsume can stay profitable and continue developing the games in Japan while XSEED can take care of their specialty – localization. XSEED has no in-house developers. I’m going to say the same thing I did when I commented. If Natsume owns the rights to Rune Factory, then why is XSEED localizing the game? Wouldn’t that be like Nintendo letting Sony publish a Mario game? Like I said, the US branch of Natsume does localization and marketing, just like XSEED. But in Japan, Natsume has a full team of developers that play a major role in the creation of the games. Read the credits for every HM or RF game and you’ll see. Just like AQ Interactive played a major role in developing The Last Story but they get zero credit from fans, the same thing goes for the games Natsume helps develop without their logo on the American box. If you’re so intent on spelling doom for Natsume, I guess it would just be for the handful of US staff. Harvest Moon and Rune Factory are about as niche as niche gets, it’s hard to think they were out to build a name for themselves as a publisher. Other than Harvest Moon, the only game that Natsume has that I’m interested in. Okay, so I was a little too over-zealous in predicting Natsume’s doom. However, I will say that I just don’t feel anything towards the rest of their line-up – outside of Hometown Story. I do think the employees in the Western arms of Natsume should get their resumes ready, just in case. 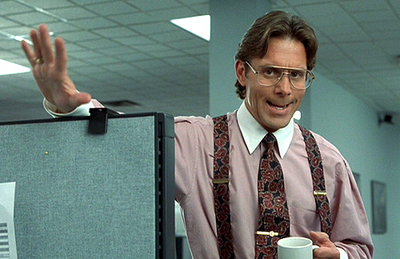 Second, XSEED has a team of developers as well. They’re called Marvelous AQL. And going back to your comment about how Natsume in America is just marketing and localization: what do you think XSEED is? They’re a marketer and localizer. And guess who the big dogs are for marketing and localizing in North America? Nintendo of America and Sony Computer Entertainment of America. They don’t develop games; they localize the games that come from the Japanese arms of their respective companies. Aside from having bigger budgets, they’re the same as XSEED and Natsume. Third, I wouldn’t say they started that way but I will say that not trying to make a name for yourself is ridiculous. If you want to be successful in what you do, you need to build a reputation. XSEED has done that. And when I think of XSEED, I think of a hard working company that puts their all into localizing under-the-radar games. Rayman could be in one of the best platformers ever made, but a bad Mario game will still outsell him. Dragon Quest may be the cream of the crop at Square Enix, but it’s Final Fantasy that brings in the money. And there may be a good Japanese-made game out there that I have never heard of, but seeing the XSEED name will tell me that it’s worth my time.